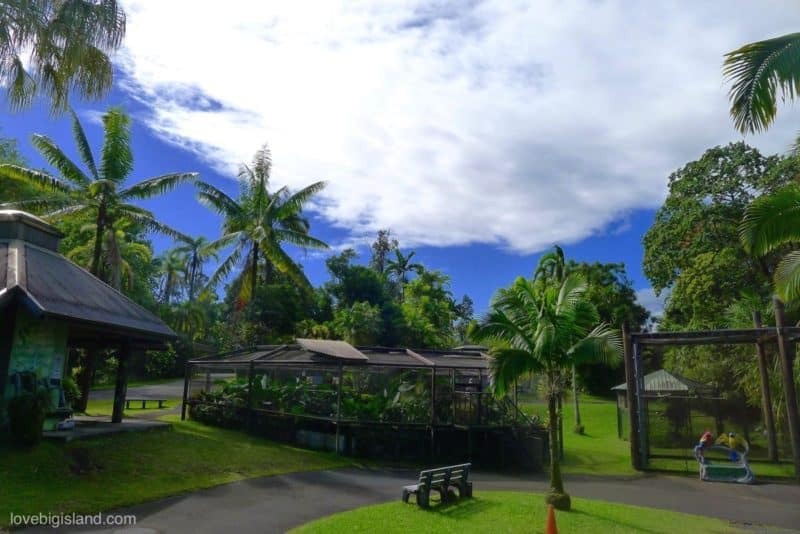 The Pana’ewa Rainforest Zoo is the only tropical zoo in the United States and is located about 4 miles from Hilo. 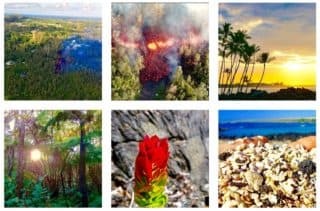 Inside, you can find a variety of rainforest animals and endangered Hawaiian animals such as spider monkeys, lemurs, nene geese (the Hawaiian State bird), and over 80 other animal species. 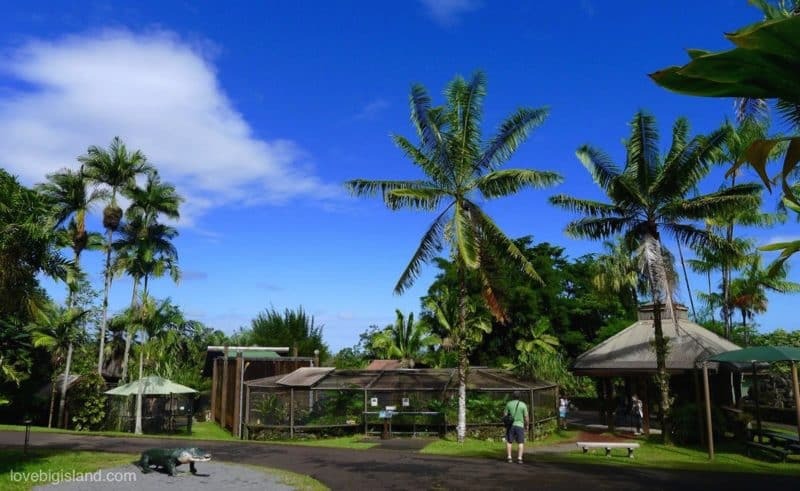 The Pana’ewa zoo is also a botanical garden and is filled with orchids, bamboos, 100 varieties of palms, and a water garden. The zoo is pretty small, plan on spending about one to two hours walking around checking out the animals and plants / flowers. One must-do (for kids) is the petting zoo (only on Saturday, check the website listed below for up-to-date times). 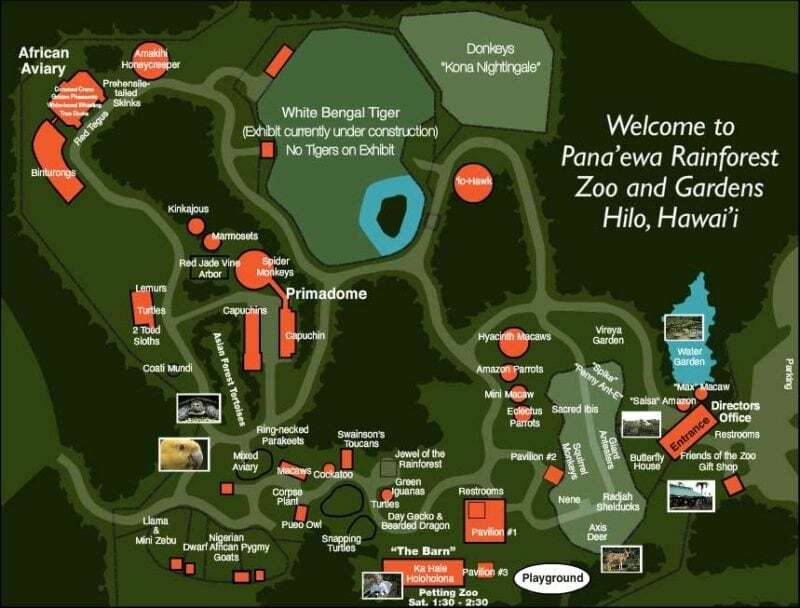 Map of the Pana’ewa rainforest zoo and gardens in Hilo, Big Island, Hawaii. Map retrieved from source in January 2014. The zoo is open daily, 9 a.m.-4 p.m. and from 1:30 p.m.-2:30 p.m. on Saturday. Admission is free, but please consider either leaving a donation or a visit to their gift shop to support this local zoo and their outreach activities. 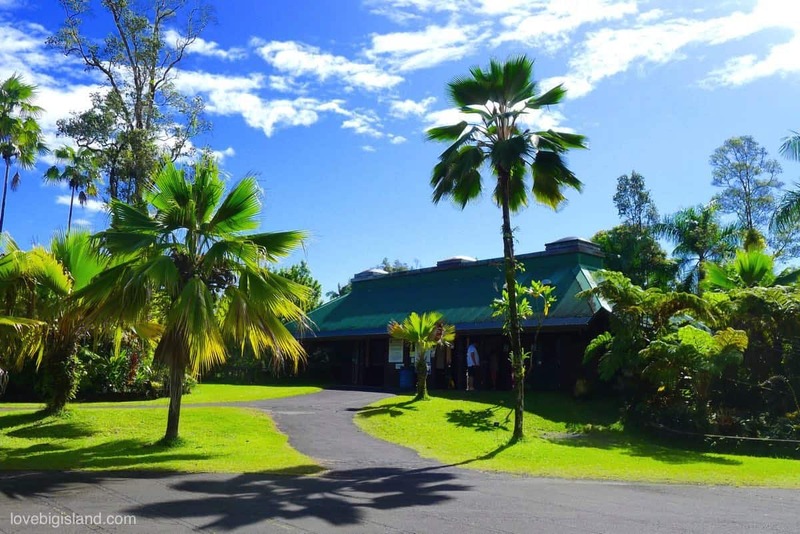 Visit the Pana’ewa zoo website or visit them on facebook for more information.